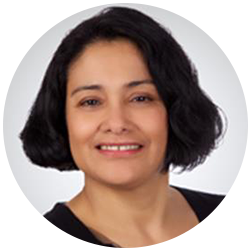 Irma Rodríguez Moisa is an experienced litigator, labor negotiator, and trial attorney representing public and private entities in labor and employment matters. Ms. Rodriguez Moisa’s experience offers unique insights to develop winning strategies for clients, from advice and counsel, arbitrations, litigation and at trial. With numerous trial cases to her credit, she has litigated matters in state and federal courts in the areas of discrimination, sexual harassment, retaliation, FMLA/CFRA, disability discrimination, wrongful termination, and the First Amendment. Irma Rodríguez Moisa began negotiations on behalf of public agencies in 1999. She was drawn into this field by clients who admired her advocacy style in litigation and because of her public policy background. Since that time, Ms. Rodriguez Moisa has served as lead negotiator for numerous agencies, usually negotiating three to five contracts per year. As chief negotiator, Ms. Rodríguez Moisa has provided strategic labor advice to clients, allowing them to reach their short- and long-term organizational and financial goals. These negotiations have resulted in changes to retiree medical benefits, implementation of furloughs, salary concessions, and changes to pension benefit formula and contributions. Ms. Rodríguez Moisa was recently named to the Daily Journal’s list of Top Women Lawyers and Top Labor & Employment Attorney lists. Additionally, she has received multiple-year honors with her inclusion in the Top 25 Municipal Lawyers in California. In 2011, the Daily Journal profiled her representation of the city of Los Angeles in its negotiations with the Coalition of Los Angeles City Unions. In 2009, Ms. Rodríguez Moisa, was named to the Daily Journal’s annual listing of the “Top Women Litigators” in California. Since 2004, she has been recognized as a Super Lawyer by Southern California Super Lawyers magazine. Ms. Rodriguez Moisa first practiced law with the Mexican American Legal Defense and Educational Fund (MALDEF). Ms. Rodriguez Moisa co-authored “The Uncertain Contours of the Vested Benefits Doctrine” in the California Public Employee Relations periodical of the Institute of Industrial Relations, U.C. Berkeley.